Stream a special one hour show, devoted to the upcoming 13th edition of the Skaņu Mežs festival in Riga, Latvia. Produced for Resonance FM‘s series of broadcasts about member festivals of the SHAPE platform, the show is hosted by organizers of the event, and introduces the listeners to some interesting elements of the festival’s program. Described by Electronic Beats as “the go-to festival for adventurous music and art in the Baltics”, Skaņu Mežs always aims to present a genre-wise diverse line-up, and its concerts often feature rhythmic music, free improvisation, noise, contemporary music, folk and musique concrète, presented in a kaleidoscopic fashion. This show, hosted by organizers of the event Rihards Endriksons and Viestarts Gailītis, will quickly take you through some interesting elements of Skaņu Mežs’2015, featuring music by N1L, Squarepusher, Lorenzo Senni, Jakob Ullmann, Gas of Latvia, Frederic Rzewski, Peter Brötzmann, James Holden and Christian Wolfarth. The broadcast was produced in collaboration with Latvian Radio 6 a.k.a. Radio NABA. 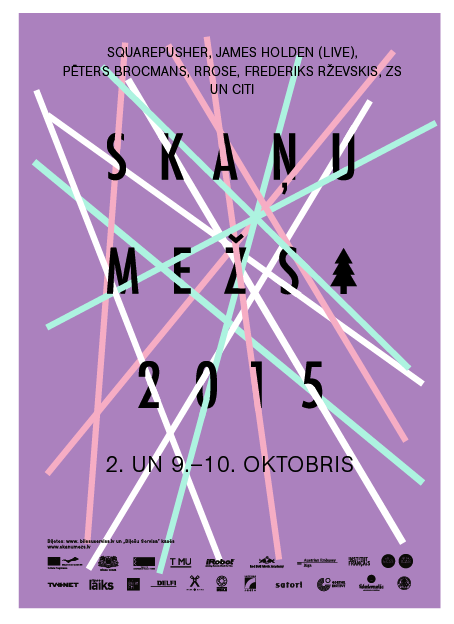 To find out more about Skaņu Mežs, visit the festival’s homepage.